Our research aims to deepen the theoretical foundations of early stage design process across product design, engineering design, system design, and beyond in order to develop transformational strategies for creating compelling new products and systems that address challenges of global competitiveness, sustainability, and emerging markets. 6/7/18 MIT News talks about recent research at MIT MechE in Computation and AI, including at the Ideation Lab. 10/31/17 Ideation alumni Justin Lai, a faculty in Engineering and Robotics at the Punahou School in Hawaii, is helping launch their new program in Design Thinking, Makery, Engineering and Technology and new Learning Commons. 3/13/17 Maria Yang named MacVicar Faculty Fellow, to be awarded on MacVicar Day, March 17th, 2017. From windmills to software, graduate student Ned Burnell creates better tools." 4/13/16 Maria Yang receives Bose Award for Excellence in Teaching from the MIT School of Engineering. 12/9/15 An Eye for Design from the Ideation Lab featured on MIT homepage. 9/14/15 - Ideation student Michael Stern, Maria Yang and Neri Oxman's Mediated Matter Group research project on 3D printing with transparent glass featured in MIT News and theVerge. 5/12/15 - 2.00B Toy Product Design final PLAYsentations featured by the MIT News Office. Terrific job, Toy Designers! 11/14/14 - Design project 1 of 2.00 Introduction to Design featured in a full page photo layout in the MIT Tech. 11/12/14 - New paper on future directions for bio-inspired design spotlighted by ASME Journal of Mechanical Design. 9/29/14 - VIDEO: Maria Yang featured by MIT News Office and the Mechanical Engineering Department, spotlighting a new video on her work in design. 9/28/14 - VIDEO: Neil Armstrong on Engineering, National Academy of Engineering FOE/FOEE Alumni Category Winner, created by Jorge Cham, co-produced by Maria Yang. 8/29/14 - VIDEO: Maria joins the Mechanical Engineering faculty in taking the ALS Ice Bucket Challenge. 7/18/14 - Ideation Master's student Michael Stern wins MIT Carl G. Sontheimer Prize for exceptional creativity and innovation in design for his work on a novel 3d printer for glass. 3/31/14 - Maria Yang awarded the Ruth and Joel Spira Excellence in Teaching Award by the MIT School of Engineering. 3/28/14 - Maria Yang named recipient of the ASEE Fred Merryfield Design Award. 11/25/13 - Maria Yang elected to ASME Fellow. 11/19/13 - First Design Project from 2.00 Introduction to Design appears in the MIT Tech. 11/17/13 - Discover Product Design 2013 featured on Kirsten Lim's MIT admissions blog. 09/18/13 - Catch photos of Discover Product Design 2013, courtesy of Emma Feshbach! 09/06/13 - Ideation lab featured in MechEConnects article on innovation at MIT. 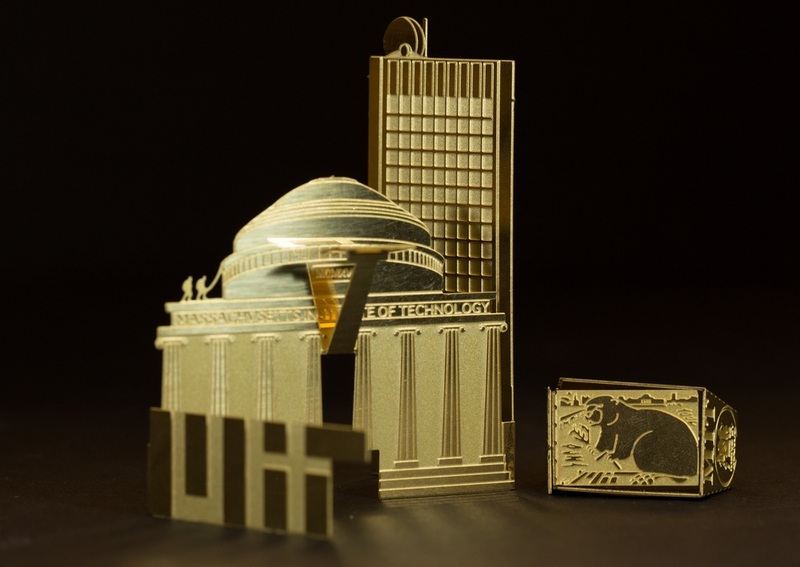 08/29/13 - Ideation Best Paper Award featured in MIT News. 08/29/13 - PhD Candidate Jesse Austin-Breneman and Maria Yang's work on Design for Micro Entrepreneurship featured in sci.dev.net. 08/11/13 - A new paper on a framework for Designing for MicroEntrepreneurship by PhD Candidate Jesse Austin-Breneman and Maria Yang featured on MIT News Homepage, and in Science Daily, R&D News and the Digital Manufacturing Report..
08/10/13 - "The Influence of Timing in Exploratory Prototyping and Other Activities in Design Project" by Anders Haggman, Tomonori Honda, and Maria Yang awarded Best Paper at the 2013 ASME Design Theory Methodology Conference in Portland, OR in August 2013. 03/19/13 - Maria Yang gives speaks on early stage design at the University of Pennsylvania Mechanical Engineering Seminar Series. 02/20/13 - Justin Lai discusses Ideation's work on getting engineers to create portfolios, featured on Seelio blog. 01/25/13 - Maria Yang is a featured speaker at the Inaugural xDesign event at Harvard University, jointly sponsored by the Harvard Business School and the Harvard Graduate School of Design. 08/24/12 - DPD in the MIT Tech newspaper. 04/25/12 - Full-length feature article on 2.009 Product Engineering Processes in the MIT Technology Review. 05/11/12 - MIT gives Maria Yang the Institute wide Earll Murman Award for Undergraduate Advising. 02/17/12 - New BostonInno article explores the Ideation Lab. 01/11/12 - Discover Product Design featured in a BostonInno article. 02/15/11 - FlatRat revealed during Ring Premiere. 09/28/10 - How do Freshmen Eye Design? DPD featured in MIT Alumni Office blog. 09/21/10 - Photo narrative of Discover Product Design showcased on Core77. 09/21/10 - The Boston Globe RAW features Discover Product Design photos. Designing for MicroEntrepreneurship by Jesse Austin-Breneman and Maria Yang featured on MIT homepage, August 2013.